So cheap! The normal ticket prices are normally S$13! Still haven’t caught Crazy Rich Asians in the theatres yet? You should. After all, it’s starring some of our favourite local actors, plus you get to see your beautiful country on the big screen! So you might want to grab a hold of your closest friends to get your butts to the theatres together to enjoy the movie now with this GV cheap movie ticket promo! From now until 29 November, you get to enjoy GV cheap movie ticket prices from Monday to Thursday (except eve of and public holidays)! Wait a minute, how cheap? And how much savings? Well, GV’s promotion is all about more the merrier! So the more friends you come with, the more savings you get to enjoy! Either way, you will get to enjoy all your favourite movies at a discounted rate! So what are you waiting for? Round up all your movie kakis and make sure to get a group of five to enjoy the most savings. Better start putting together a list of all the shows you want to watch too! Let’s see how much money you can save from this promo from now till the end of November! We’ll bet it’s quite a lot! Who will be taking full advantage of this GV cheap movie ticket promo? We know we will! Let us know of any other promos you might be aware of, by leaving a comment below. 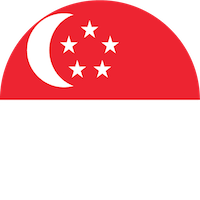 Read more promo articles in Singapore here.